Warehouses are, by definition, prime targets for thieves, as they’ve packed with goods. It follows, then, that we should concentrate our security efforts around them. 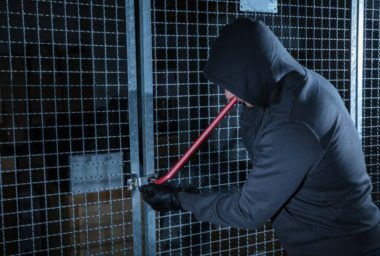 With a few simple changes in practice, and a few of the technologies provided by Tag Systems, we can ensure that your inventory is kept safe from would-be thieves. Let’s examine a few solutions, and see how they might combine to lessen the risk to your premises. In order to effectively deter crime, we must increase the risks relative to the rewards. During the night time, the risk to would-be intruders is markedly lower – there will be fewer people around to take notice of suspicious behaviour, and even if there were, such behaviour will be markedly less visible. A hugely effective way of combating this problem is through the use of motion-activated lights. When an intruder strays too close to one, they’ll instantly be bathed in a blinding beam of high-wattage light, becoming suddenly and unmistakably visible. In most cases, this is sufficient to deter the intruder, and prevent the break-in. Surveillance cameras are a great alternative to security guards, where the latter is impracticable. They can be installed in a fixed location, or mounted to rotating pivots. They can be automated, or operated manually by a remote station. Hiring guards to oversee your premises can be an expensive business – particularly if there’s a lot of ground to cover. A camera system will provide your security staff with the tools they need to effectively keep your site secure. And with the help of a remote, offsite monitoring station, a camera system can provide constant protection and evidence collection at your site, monitoring images twenty-four hours a day, and calling in the police the moment a crime is observed. As with lights, deterrence is key. If a burglar should notice a security camera, they’ll be less likely to attempt a break-in. 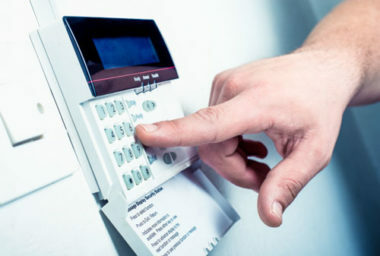 Alarm systems work in conjunction with cameras to create broad protection against intrusion. They come in several different forms – there are motion-sensing ones, and there are laser tripwire ones – but the function is the same. 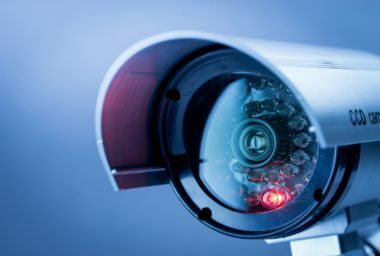 Sophisticated camera systems, such as those we provide, are able to interface with alarms – ensuring that your cameras are pointing in the direction of any intruder. A warehouse is typically a large and sophisticated operation which requires many different personnel to operate effectively. It’s therefore vital that we have a means of policing who is able to enter the building, and have a precise record of comings and goings. Electronic access control allows for exactly this. A turnstile and a series of electronic keys means that we needn’t incur the security risk or expense of cutting and issuing mechanical keys, and that we can retrospectively investigate any missing items after the fact. If we see a stock discrepancy, we’ll be able to see exactly who was present in the warehouse on the day in question, and we’ll be able to investigate further using our surveillance equipment.